COMMENT | When Tony Pua, the political secretary of Lim Guan Eng, who is the Minister of Finance, lambasted MMC-Gamuda on its "brazen attempt" to paint itself as a "victim," he was referring to its use of social media. Knowingly or unknowingly, Pua was setting the gold standard for what is doable and not doable in Malaysia when it comes to corporate self- defence. While Pua's open letter is now moot, as MMC-Gamuda has agreed to return to the negotiating table with an open book approach, the lingering issue is "openness" in a post-May 9 open society. Are public listed companies, big corporations and small and medium industries allowed to resort to the "amplifier" effects of social media to tip the scales in their favour? The simple answer to that is 'no'. At least, that is the view of the Ministry of Finance (MOF) that is now in the grip of "scrimping and saving" every dollar and cent to reduce the national debt of some RM 1.09 trillion ringgit. Do not challenge the MOF when we are bent on reducing the national debt. There are five reasons to believe that Pua's “take no prisoners” or Lim Guan Eng's “no holds barred” approach cannot be the template to guide Corporate Malaysia on what to do or what not to do. Not yet anyway. First of all, Pakatan Harapan is a coalition government. By putting its foot down, one wonders if the MOF alone is the key actor in all executive decisions. As it turned out, this wasn't the case. Prime Minister Dr Mahathir Mohamad said he would "reconsider" the impact on the 20,000 workers and their families. Pua did not back down but at the very least MMC-Gamuda was quick to affirm that it was willing to go with the decision of Mahathir. MMC. They even affirmed in an open letter on Oct 10, a day after Pua released his, that they were willing to be invited back to the "negotiating table." Secondly, although MMC-Gamuda should have called for an extraordinary general meeting (EGM) first - lest the issue exploded with more proverbial fireworks - it was clear that in the heat of the moment someone on the board of directors lost their cool. This person, or a motley collection of them, decided that social media was the best place to air their grievances, even going as far as asking their workers to sign a petition on change.org. 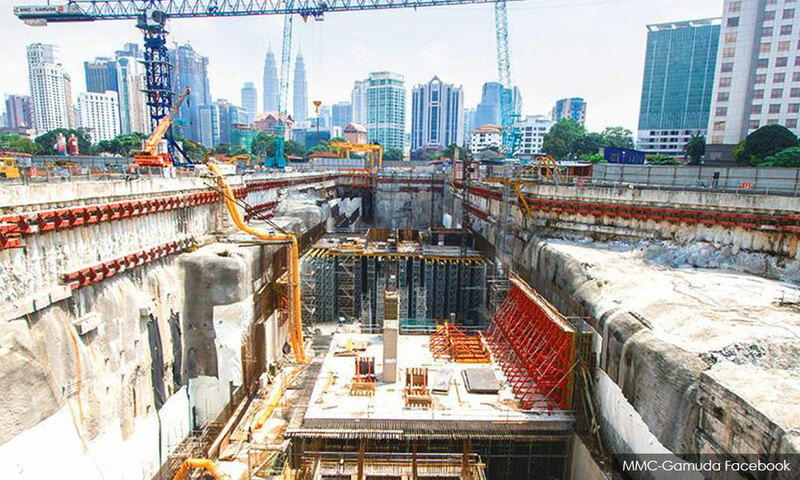 In an age when governments in Asia Pacific such as China, Japan and S Korea are the lead actors in economic transactions, one can perhaps forgive MMC-Gamuda for going ballistic. Fear can germinate in the market, especially when it is a public listed company. In this case, MMC-Gamuda are two public-listed companies formed as a 50-50 joint venture. Regardless of who jumped the gun first, by diving head first into social media, one cannot blame them for their sheer panic as the value of the shares which they were about to lose stood in the range of billions of ringgit. Thirdly, the threat of Pua seemed genuine when he called for an international open tender, in a tone harsher than his boss Lim Guan Eng. When Pua is more Catholic than the pope himself, as the saying goes, one cannot blame MMC-Gamuda for urging its workers to unite. The call wasn't necessarily one to paint MMC-Gamuda as a "victim". An international open tender would mean more delays, uncertainties and even potentially cornering MMC-Gamuda to look into suing the government - all of which MMC-Gamuda did not want to face as the latter had a good working relationship with the government. Fourthly, notwithstanding the track record of Pua in exposing the 1MDB issue, the behavioural pattern, rhetoric and missives against MMC-Gamuda appeared to resemble the attack mode against 1MDB - although MMC- Gamuda is a totally different creature. Some 40 percent of the tunnel boring project had indeed been completed. Stopping it for an international re-tender seemed like an attempt to “shock and awe” MMC-Gamuda with the strength and influence which the MOF possesses. Naturally, MMC-Gamuda, felt the need to air its views and seeming haplessness. Fifthly, Pua did not refer the dispute to an arbitration panel. Pua went straight for the jugular of MMC-Gamuda. In its attempt to defend itself, MMC-Gamuda went on the offensive first. While this was not wise, neither can one blame them. In all, P Gunasegaran is right to urge prudence and caution when it comes to corporate and MOF disputes as the animosity and acrimony of such episodes can and will scare away many domestic and international investors. As they say, money is the best coward. It will operate in an environment with high yield and low risk. And, if what Lim Guan Eng and Tony Pua said is true at the New Malaysian Dawn Conference organised by MOF on Oct 9 that the MOF will stick to the adage "where the business of the government is to stay out of the business”, then MOF also cannot close all doors on MMC-Gamuda just by insisting on a 24 percent haircut to the cost. The KL Arbitration Centre is there to ensure such issues can come to a pleasant end to allow all sides to achieve a win-win solution in a smart public and private sector partnership. PHAR KIM BENG is a multiple award-winning head teaching fellow on China and the Cultural Revolution at Harvard University.